Whether you are a novice or experienced photographer there is something for everyone in our Kalbarri landscape & nature photography sessions!!! During these sessions I will explain in simple words how to master your camera settings, go through the lens selection and focal for landscape/ nature photography, we’ll also explore the world of image composition, exposure and how to read your histogram before making our way to a selection of locations and to put in practice what we just covered. Martial has been working as a professional landscape & commercial photographer for over 35 years, as a mentor, as well as running workshops for Nikon in Lausanne Switzerland. He will be there to assist you with all your photography questions. No gimmicks, no upsells, just sound photography advice from $79! Maximum group size of 6, these Kalbarri 3-4 hours photo tours are aimed at beginners and experienced photographers, travellers and explorers of all ages! Our Tours/ Workshops usually start and finish in front of Kalbarri Air Charter/ Sunset Villas Office – 38 Grey Street, Kalbarri. We get lots of requests to open “just one more place” in the sold out workshops, and while we would love to have you along, we would be doing you a disservice if we offered additional places. The relationship between the photographer and the participants is based on a principle of mentorship and guidance, if the numbers are too high it becomes difficult to connect with everyone. We’re not here to leave you in the dark, hand out some notes then send you on your way! Everything we teach during the ‘coffee session’ is aimed to put you in control of your camera, and giving you real results. If you miss out, don’t worry! Just jump on the website and subscribe to our newsletter list to get the latest tours, workshop and masterclass details. For a unique experience and great photographic tips book your place on-line now or come visit our landscape Photo Gallery in the Kalbarri Air Charter/ Sunset Villas booking office at 38 Grey Street. *Workshops available most days contact enquiries@bluetonguetours.com for more details. Your favourite camera and plenty of SD cards, tripod and ND filter is useful on location. – 3 to 4 hours tutorial. – Notebook and fact sheets. – Short walks to access photography locations. – Best location in the world. – Maximum group of 6. – Discover and learn with like minded people. 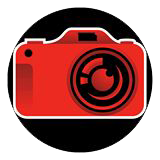 – Understand your camera settings and lens selection. – Build your skill level, create and take amazing images.